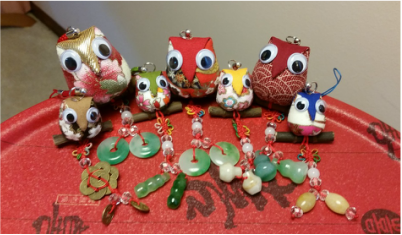 Each and every one of our Nomi Owls symbolizes good luck and prosperity. Browse through our store to see how each color serves an even bigger role. Every meaning caters to the goals you and your loved ones hope to reach. Share one today to give tomorrow. Our green-colored owls are to protect you and your loved ones. 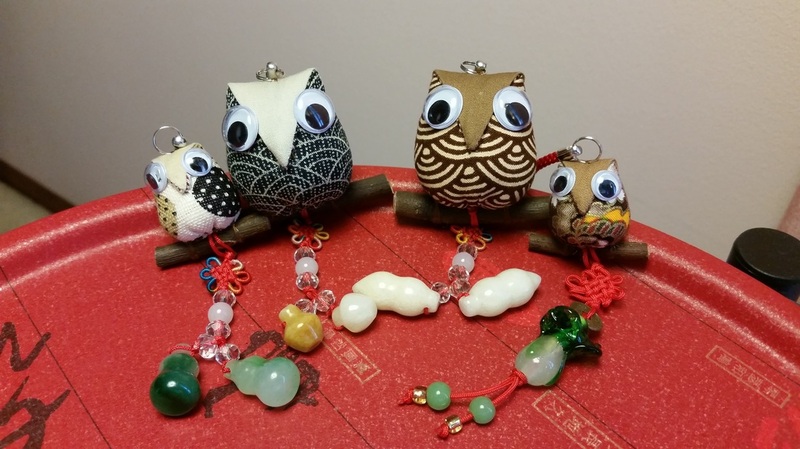 Symbolizing health and wellness, these owls promote physical health. It helps bring a boost to achieve your state of optimal well-being. If you are recently hoping for a promotion, our yellow-hued owls promote good riches and fortune. 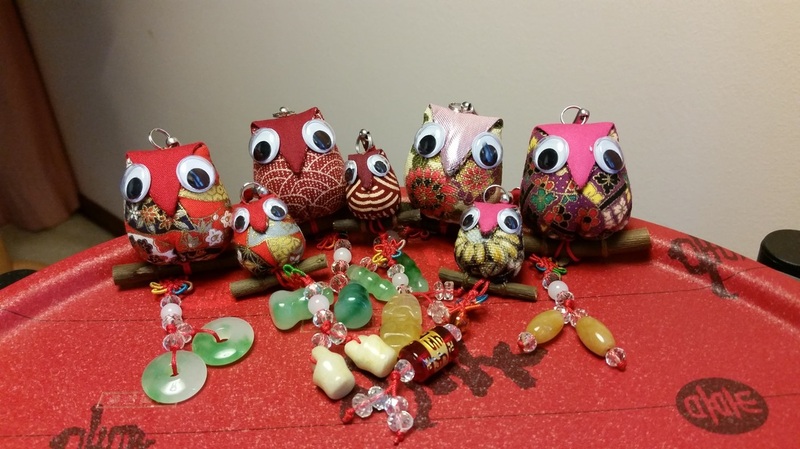 These owls are perfect for anyone striving to make profitable investments. Our blue owls provide the aid for anyone hoping to excel in their studies. 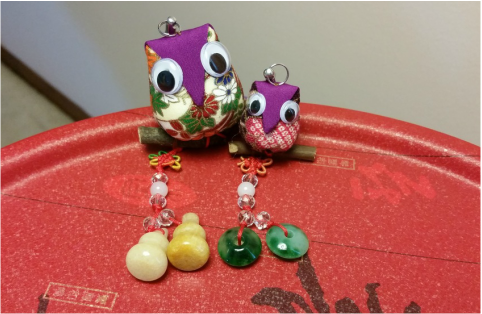 These owls especially benefit any student who hopes to achieve their educational goals. 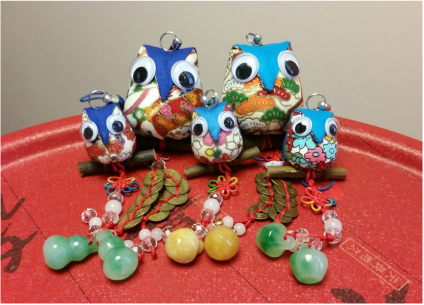 Blue owls symbolize wisdom and the capacity to reach higher academic realms. Our owl-colored owls are just right for anyone driven about their occupation. 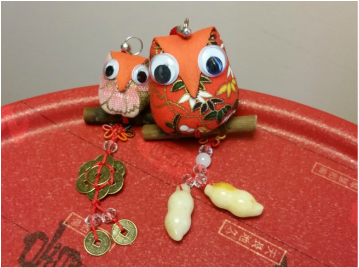 Attain a successful career with the fortune these orange owls brings. 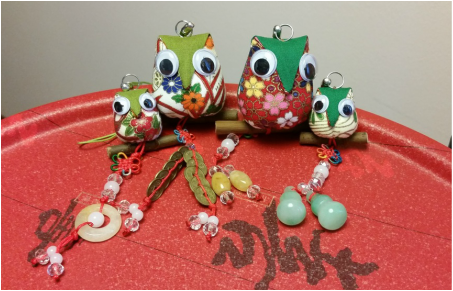 Whether it is a major project at work or intense test for school, these cream & brown colored owls increase concentration. Create a focused atmosphere with these owls. Our red-hued owls are able to say more than words can. 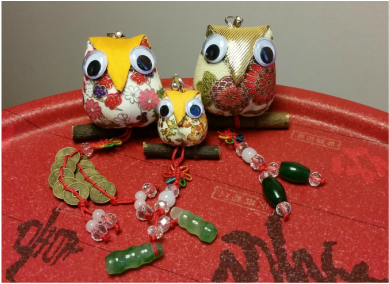 Perfect for weddings, anniversaries, and Valentine's Day, these owls secure current marriages or relationships with their protection of love. Share the love even more by giving these owls to anyone hoping for a committed relationship soon. Exert royalty & bravery with our purple Nomi Owls. They are perfect for anyone hoping to raise their position in society. Boost the courage within yourself and your loved ones by sharing this Nomi Owl.